Aged entirely in a Pedro Ximenez sweet sherry puncheon. 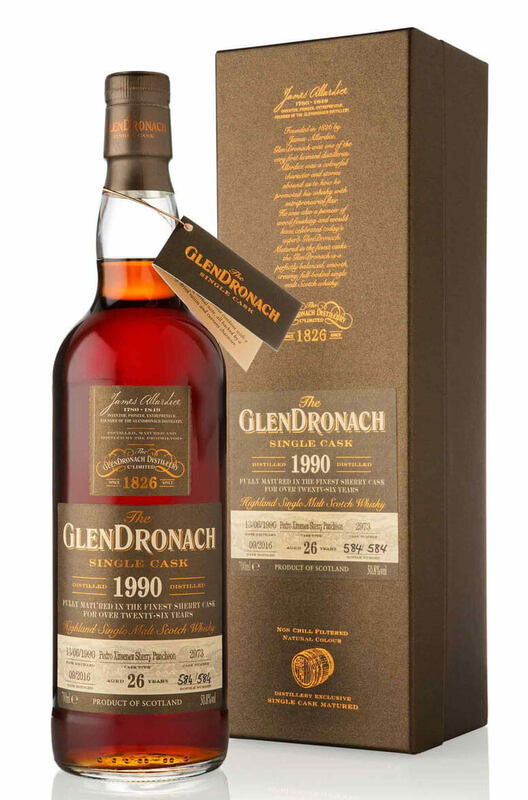 This is one of the highest rated whiskies in batch 14 of Glendronach's single cask series. Aromas (with water) Crisp, fresh oak and spices contrast with rich orange marmalade over plums, dried prunes and dark chocolate. Flavour Sweet dates, dark prunes and raisins complement vibrant, spicy notes of ginger, black pepper and clove oil. Types of Barrel used for Aging Aged in a Pedro Ximenez sherry puncheon.